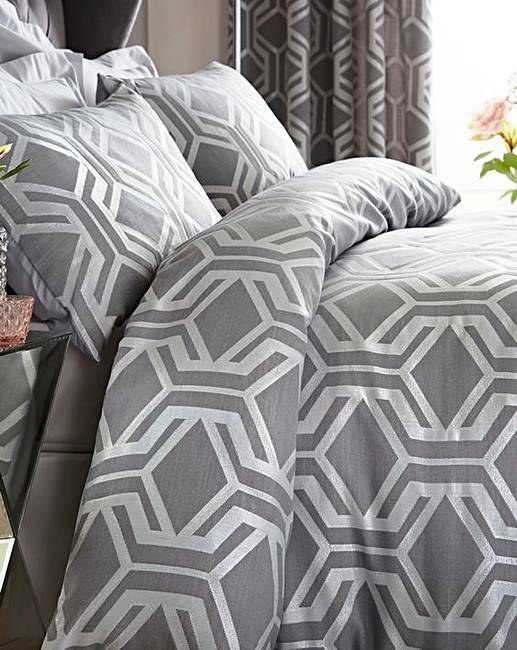 Beaufort Jacquard Duvet Cover Set is rated 4.8 out of 5 by 5. The Beaufort range has a sophisticated feel. Combining the texture of Jacquard and slight shimmer detailing gives an overall glamorous look. Rated 5 out of 5 by Claire from Great value Pleasantly surprised with this set, lovely grey with a slight sparkle. Nice material. Looking forward to putting it on the bed. Rated 5 out of 5 by Kez38 from Fab I bought this about a week ago and it’s really nice. It looks fab on my bed. I’m very happy with it.